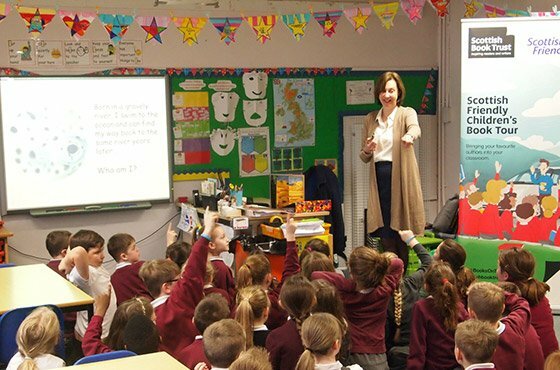 In March 2016 the Scottish Friendly Children’s Book Tour visited primary schools in Inverclyde, West Lothian and Dundee with the award winning non-fiction writer Christiane Dorion. 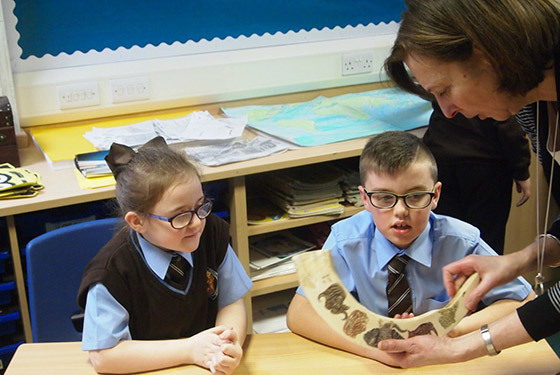 Over the course of a jam-packed week Christiane visited 10 primary schools, fueling pupils’ imaginations with facts and trivia taken from her latest books How The World Began and How Animals Live. Christiane wowed wide-eyed pupils with a real leopard skin and encouraged them to think about the world around them. It was amazing to see how creative and forward thinking children can be, and they came up with some amazing inventions from the future. A car fuelled by the cuteness of bunnies? How about some solar powered rocket boots? It was amazing to see how creative and forward thinking children can be. 3. What would your dream job be if you were not an author? 5. Who would you play you in a film of your life? 6. What’s your fondest childhood memory? A. Canoeing and fishing in the woods in Canada where my father would take me and my siblings every summer. We would land on the lakes by sea plane and stay in a cabin in the woods surrounded by nature. A. None. I love the present!